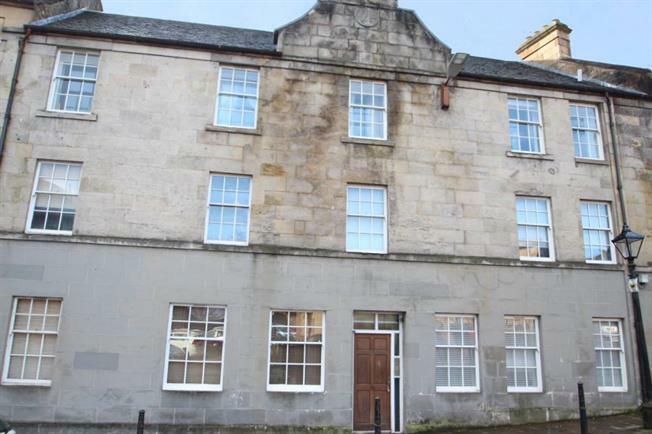 1 Bedroom Ground Floor Flat For Sale in Paisley for Offers Over £60,000. An attractive traditional ground floor flat positioned within the sought after Oakshaw district of Paisley. The property is conveniently placed for Paisley town centre and is presented to the market in excellent decorative order throughout. The property offers accommodation comprising of a welcoming reception hallway incorporating storage. The lounge/dining room is both bright and spacious with the modern fitted kitchen offering ample storage in the form of both base and wall mounted units. The double bedroom is well proportioned and incorporates fitted wardrobes. The deceptively spacious accommodation is completed by the modern fitted bathroom. The property features gas central heating, security door entry system and a communal back court. The property is well placed for Paisley town centre including nearby Gilmour Street railway station. Viewing is strongly advised in order to avoid disappointment.